This Is The Last Great Love Song Lyrics. 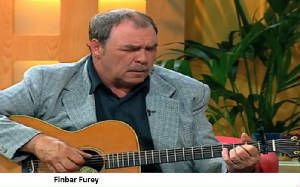 Written by Gerry Fleming and Recorded by Finbar Furey for the R.T.E. programme ''The Hit''. I notice that Finbar changed some of the original words by Gerry, only a few. I have left it the way it was written. Guitar chords included. Welcome to my soul, I didn't mean to scare you. I need to show it all, don't say I didn't warn you. Sometimes it's like that wall, that you have to climb or fall. Now this is the last great love song. That I will ever sing, to you. This is the last great love song. That I will ever bring, to you. Don't run I've come to call. Be silent though you'll hear it. But your laughter in the dark. Has left me cold and stark, inside. You have that exquisite remove. All the lovers not in love. Here's the guitar chords courtesy of Marc. I (G)didn't mean to (D)scare you. Don't (G)say I didn't (D)warn you. That you (A7)have to climb or (A)fall. Now (A)this is the (D)last (G)great (D)love song. That (G)I will ever (A)sing(A7), to (D)you. And (A)This is the (D)last (G)great (D)love song. That (G)I will ever (A)bring(A7), to (D)you. Don't (D)run I've come to call. Be (G)silent though you'll (D)hear it. But your (G)laughter in the (A)dark. Has (A7)left me cold and (A)stark, inside. (A)You have that (A7)exquisite re(A)move. (A)All the lovers (G)not in (D)love. D D D E F A G F E D E F D D D E F A G F E D E F F G F E DE F GF E D E CHORUS FF G A B A D A G F E D B A REPEAT AGAIN"